A free download of the template for this Parthenon pop-up is available at Paper Garden. 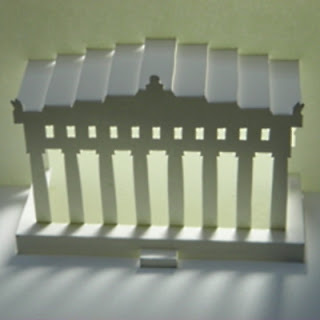 The Parthenon was completed in Athens, Greece around 432 BC and is considered by many to be the pinnacle of Doric temple architecture. 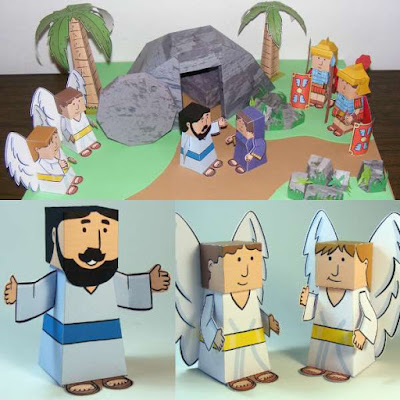 Paper Garden showcases the papercraft work of Sakyo K. Also available on the same page as the Parthenon pop-up is a template for a pop-up of a Christian church.